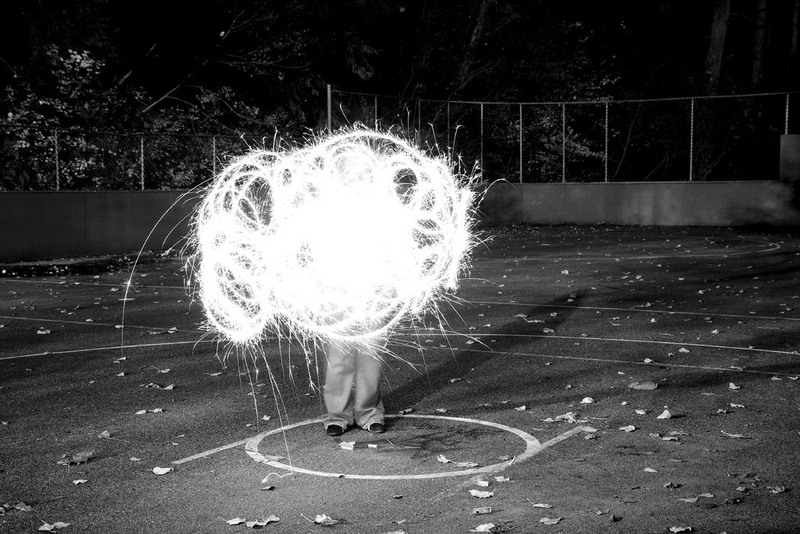 For decades now, Vancouver residents, along with others all over B.C., have been setting off firecrackers and fireworks on Halloween. If you grew up here, you might not think twice about this tradition, however firecrackers and Halloween are a uniquely B.C. thing. Every Halloween, police departments in Vancouver and surrounding communities remind us about fireworks and firecracker safety and legalities (and many probably hope it rains that night, just to minimize the mayhem). Perhaps as part of Halloween’s similarity to end-of-October and early November trouble-making celebrations like Devil’s Night or Mischief Night, since at least the 1940s in Vancouver, hooliganism has been a major part of the holiday. Historically, rioting and vandalism breaking out during city-sanctioned events has brought about a flurry of blowback calling for an end to the hijinks. Some particularly violent or destructive Halloween nights in Vancouver have inspired requests to just shelve the holiday locally altogether. In an almost decade-by-decade cyclical pattern, the Halloween clippings file at the Vancouver Public Library’s central branch reveals that there are bad years followed by talk about more rigid controls on the kids and calls for all sorts of bans, then reports of exceptionally quiet years. “I would recommend that Halloween be stopped,” was the suggestion of Edward R. Loftus of Burnaby in 1952, following a particularly destructive Halloween, according to an article in the Vancouver Sun. Roving gangs of Halloween hoodlums staged riotous street battles with police in two sections of the city Thursday evening. Eggs and oysters were their ammunition. Dunbar and Chinatown the main battlegrounds. Police and dogs struggled for hours to keep the gangs under control. But the Halloween newspaper clippings file is mostly rife with stories about fireworks and firecrackers on Halloween. There are the horrific reports of children having firecrackers tossed at their faces and losing limbs and eyes. There are tragedies during organized fireworks displays that claim lives. There are motions put forth to ban firecrackers and fireworks, and opinion pieces suggesting Halloween itself be banned. The law defines firecrackers as an article containing a combustible or explosive substance which does not produce a pyrotechnical display. Fireworks are explosives which do produce a pyrotechnical display, rather than merely a bang. For years B.C. children have had bang up fireworks displays as part of their Halloween celebrations. Often it was a frontyard show after trick or treating and sometimes it was a community affair. This custom is not part of the Halloween heritage for children from many other Canadian provinces. Vancouver historian and author Michael Kluckner told Vancity Buzz he recalls fireworks at Halloween were a “real free for all back in the 50s and 60s–sometimes you’d get parents on a block would band together, buy a bunch of fireworks.” Kluckner says he has memories of scouring the streets for unexploded firecrackers the day after Halloween, too. “When I was a kid there were two things you saved your money for. The first was the PNE, the second was Halloween, and if you had anything left you bought your parents a Christmas present,” Kluckner says. But why has Vancouver, and perhaps the rest of the province, had a nearly century-long love of fireworks at Halloween? The most reasonably deduction is that in our province’s attempt to be very British, we took on the incendiary aspect of England’s Guy Fawkes Night and fused with it our country’s love of fireworks. For the unfamiliar, Guy Fawkes Night (also known as Bonfire Night or Firework Night or Guy Fawkes Day) is November 5. The holiday marks the anniversary of the Gunpowder Plot, which was a 1605 conspiracy to blow up the English Parliament and King James I; Fawkes was one of the most well-known participants. 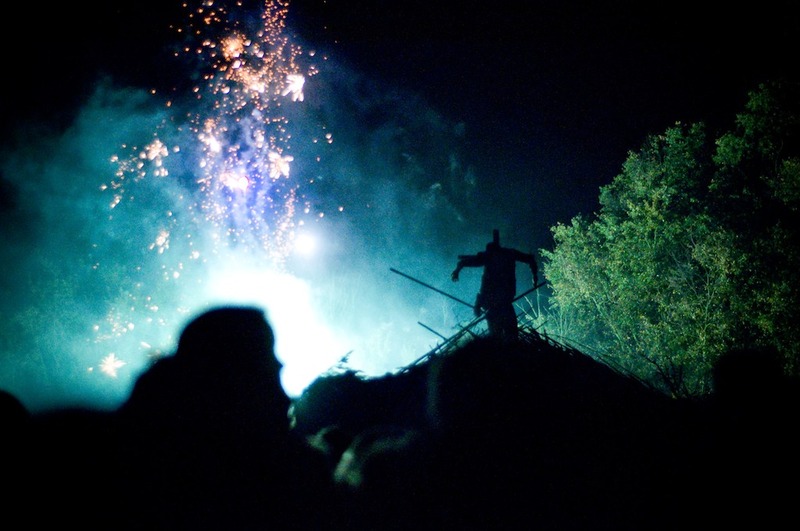 Because of the explosive nature of the plot, celebrants set off fireworks or burned bonfires, along with effigies of Guy Fawkes. “Traditionally, children carried these effigies, called ‘Guys,’ through the streets in the days leading up to Guy Fawkes Day and asked passersby for ‘a penny for the guy,’ often reciting rhymes associated with the occasion,” explains Encyclopedia Britannica. Sounds a bit like the Trick-or-Treating ritual of Halloween, doesn’t it? Fire, explosions, and the kind of mischief best conducted in the dark of night seems to have been the inclined pairing for Vancouverites, starting with British expats and then passed on to the next generations of Lower Mainland residents. (Newfoundland is the only Canadian province that observes Guy Fawkes Night). The Guy Fawkes-Halloween-firecrackers theory is, for now, at best, still a theory, though it is also the theory of reference books: “[T]he setting off of Roman candles and fireworks as an echo of the Gunpowder Plot would appear to have been transferred from Guy Fawkes Day to Halloween in Vancouver, British Columbia, where they feature prominently and still cause much property damage every year at this only time they can be sold legally,” explains the reference tome Traditional Festivals, Vol. 2 [M – Z]. In the modern-day musings of web forums and blogs, the connection has been made anecdotally, too. Setting off firecrackers, and fireworks displays, seem to have made for not only good backyard family-oriented fodder in Vancouver, but also came with the rebellious tinge of blowing things tying the practice in nicely with the wickedness and trouble-making of Halloween. Though Halloween has since become about horror movies, haunted houses, and wearing costumes, in Vancouver, fireworks seem to be an enduring part of the celebration.